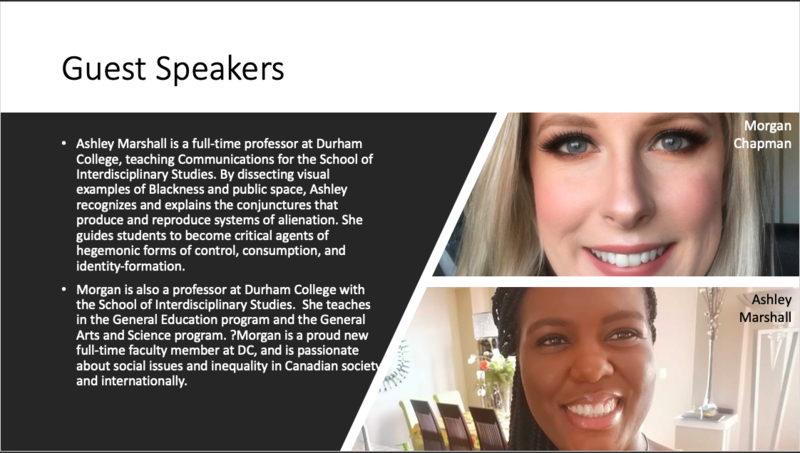 ​Kathleen and Morgan are pleased to present Ashley Marshall as a guest speaker to GNED 1472 - Special Topics in Sociology students as a compliment to their chapter on social change! "Society does not stay the same. This chapter explores social change, explaining how modern societies differ from earlier, traditional societies. The chapter discusses many causes of change, including collective behaviour, disasters, and social movements," (Macionis, J. J. (2017). Society: The basics. NY, NY: Pearson). Ashley will discuss social change as a cause and effect process in a diverse society. With a critical lens, she will explain the interplay of popular subcultures, like skateboard culture, and postmodernism, capitalism, and other elements of the dominant ideology.